We were really pleased to welcome Chris Duke, the author of ‘Lucy’s Blue Day’ to the academy today. Chris travelled all the way down from Scotland to spend time with us this morning. 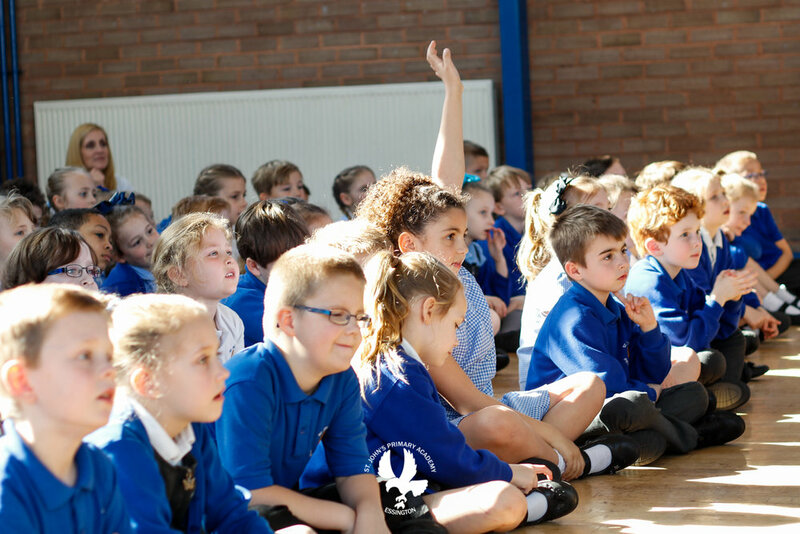 During the assembly Chris spoke to the children from Nursery up to Year 2 about how and why he became an author. The children were really engrossed in what Chris had to say and asked lots of amazing questions. Chris also shared with us some ideas he has for future books about Lucy. He even told us about a secret book he’s working on! We’ve all promised not to say anything about it, but it sounds really interesting and we look forward to reading it in the future. We are very thankful to Chris for taking the time to come and visit us. The children showed great enthusiasm throughout the assembly and it was wonderful to see the enjoyment on their faces. Below are some images of Chris’s time with us. 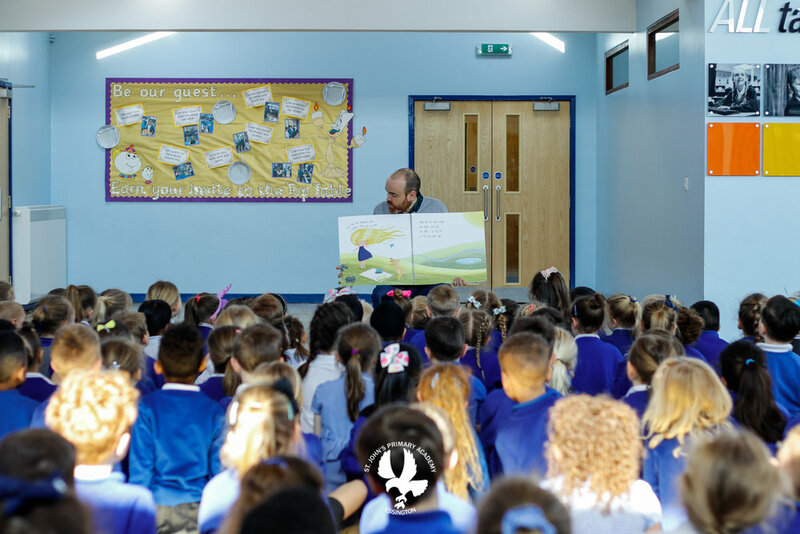 To help celebrate the wonderful world of books here at St John's we pride ourselves on ensuring that the pupils have every opportunity to learn to read and enjoy the millions and millions of wonderful books that are out there to enjoy. Books can take us to places we only ever dream of and inspire us in our daily lives to get lost in our imagination. This is our final video of this years Bedtime Stories, but look out there maybe some more coming soon being as they have been so popular! Todays is the ever popular The Gruffalo read by Mrs Willington and i’m sure you’ll enjoy this one too. Today’s video is of Mrs Maiden reading the book ‘Peace At Last’ where Father bear is looking for somewhere peaceful to sleep! This year we have built upon our Bedtime stories from last year and are releasing a book read by your teachers each day this week. 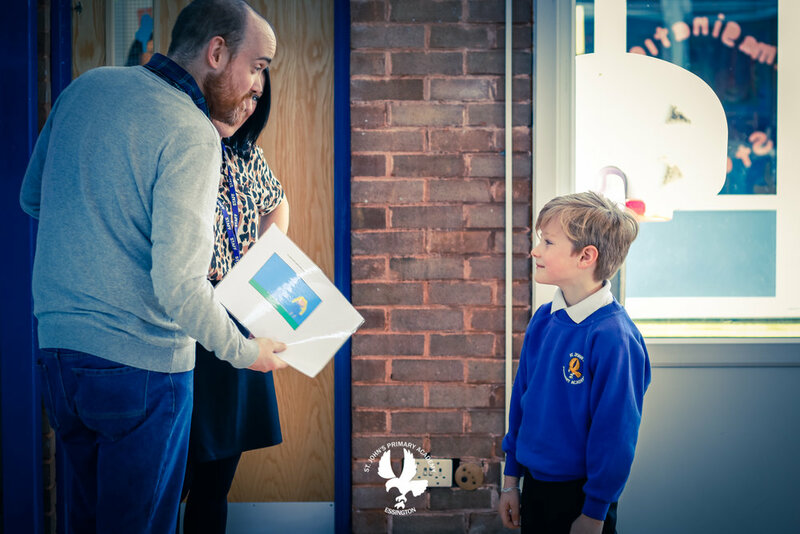 So, look out for the new release each weekday at 6.45pm and enjoy our teachers reading aloud some of our favourite books! ‘The Very Hungry Caterpillar’ is read by Mrs Cotterill who has been organising all the World Book Day activities for the school this week! Today’s video is ‘The Tiger That Came To Tea’ and is read by Year 5 teacher Miss Heyes. Once Miss Heyes realised that this book was one of the chosen ones, she jumped at the chance to read it for us all, especially as it is one her favourite books ever! The video is available below. Copy of the letter sent out to parents 26th February 2019. I would like to inform parents of changes to the leadership of St. John’s Primary Academy that will be taking place at the end of the school year. Following a recruitment programme the Trustees of Future Generation Trust and Governors of St. John’s have appointed Miss Samantha Price as the new Headteacher of St. John’s. Miss Price who is currently Headteacher at another Future Generation Trust Academy, St. Peter’s CE Primary Academy in Hednesford, will take up her new position in September. Some parents will know Miss Price from her time as Deputy Headteacher at St. John’s when she was instrumental in the school achieving significant success. Current Head of School, Rebecca Willington, who is on a twelve months secondment from Ridgeway Primary School in Burntwood, will relinquish her role at the end of the Summer term. Mrs Willington has worked tirelessly for St. John’s during her secondment and her contributions have been greatly appreciated. She now has several options available to her and we will keep you informed of developments later in the year. Stuart Ayres will remain working for Future Generation Trust in September as Chief Executive Officer (CEO). As the Trust grows, with a fourth school planning to join in September, the role of CEO is to oversee all Academies and to ensure that the standards continue to be high and to look at how the Academies work together for the benefit of all pupils and staff, alongside negotiations for a fifth school to join in 2020. 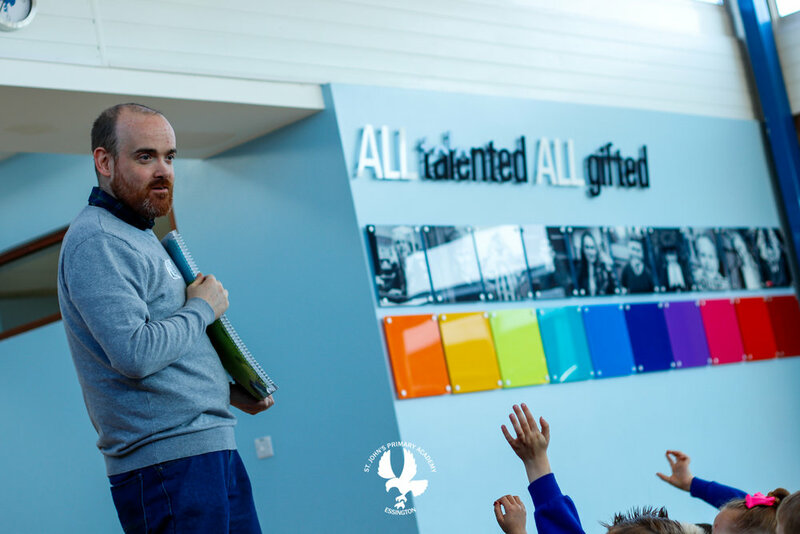 Future Generation Trust Head Office will be based at St John’s, but will be separate to the school, and therefore Stuart will continue to be seen at St. John’s however will have limited day to day involvement with the running of the academy. After a significant period of stability at St. John’s the change in leadership presents some exciting opportunities with Trustees and Governors being confident that the appointment of Samantha Price will ensure that St. John’s continues to thrive. Miss Price is a successful Headteacher in her own right and furthermore, identifies extremely strongly with the culture of St. John’s. She is totally committed to maintaining our excellent reputation and relishes this opportunity to return. l know that pupils, parents and staff will welcome her back into our community. Tuesday 5th February will be Safer Internet Day 2019 and the academy will be participating in a number of activities, assemblies and learning journeys concentrating on the importance of being safe while using the Internet and digital technologies. Keep an eye out on our social media accounts on Twitter and Facebook to follow what we’ve been doing.